This is part of a series called Ice Cream for Breakfast. To see more, click here. Welcome to adulthood. Yes, I know you might be in your late 20s to late 60s as you’re reading this, but regardless of how old you are you probably haven’t had anyone actually welcome you to adulthood. Unless you grew up in an African tribe or you’re Jewish, there was no ceremony. If you’re like me, you subconsciously expected to gain some measure of knowledge and confidence between the ages of 17 and 22. That it would just fall on you one day in a burst of sudden enlightenment. Maybe it would be a bit like that scene in Dragon Ball Z where the Eldest Namek puts his big green hand on Krillin and suddenly he’s better at fighting? 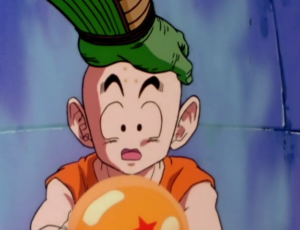 and then Krillin dies because that’s what Krillin does. Or maybe it would happen like fraternity initiation, after the “hell week” that is being a teenager you get abducted and pulled into a group of other adults wearing robes and all the guys get hip holsters for their phones & a book of dad jokes while all the women get short, layered haircuts and mom jeans. I hear they’re back in style! Hey, apropos to nothing – don’t you think it’s super lame when someone starts a speech on a topic by giving you the Websters definition of the topic? I mean how lazy and boring a way to start a topic right? According to Merriam-Websters dictionary, Adult can be defined simply by one of three ways. Anyway – back to the topic at hand, you’ll notice that among the definitions there isn’t anything about being prepared for life, contributing to society, or not being a jerk. The closest we get is the word “mature” though given the context I’d suspect that Mr. Webster probably meant biologically rather than emotionally. No, there is no part of adulthood that includes the preparedness for what is to come. No one comes to your door to make sure you’re not having ice cream for breakfast. Nor does adulthood come when you are prepared. Adulthood sneaks up on you . . . you don’t even see it coming . . . and then one day . . . you find yourself . 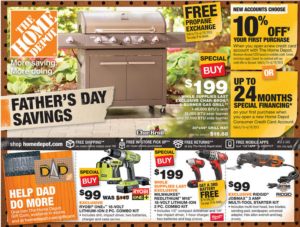 . .
reading the home depot circulars like its your new Toys R’ Us. Or the first time you get a “late on your rent” notice. Or when you’re in a room full of teenagers who are laughing at a fart joke and you’re just angry at them all for not appreciating what you’re trying to teach them. Or you make your first payment on a retirement plan. Or maybe its when you turn 25, or 30, or 35 (because then you start checking a new box on forms and that’s crazy.) Or maybe it’s the first time you notice that you feel sore after a day of moderate activity or you start feeling tired around 10pm instead of 2am. Did you pause and read it? Congrats you’re an adult now. Whatever it is – you’ll have that moment – and that’s when you have to admit, that childhood is over. So are your best years behind you? I want to be honest with you. It is quite possible that you have peaked already. Some of you might read this and say “i knew it!” Others will defiantly say “not me!” Or “That’s never true!” But we all know people who peaked in high school – they were big fish in little ponds – usually they were well-liked decently successful people by high school standards – but they just haven’t realized their potential. But the good news? You don’t have to peak in high school or college. You can move on and keep growing, but you also need to accept that the growth is going to look different – slower, even imperceptible. This is tough, because for most of us up until around age 17 or 18 you were having to buy different size clothes because you were actually growing up so it was easy to measure your growth visually. Plus your environment changed every year. 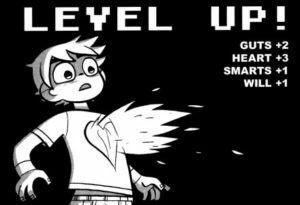 You “Leveled up” and got a new set of teachers every year and a new school every few years. Your daily activities were varied, because once you learned one thing you eventually moved on to something new. Now life looks wildly different. You’re going to look about the same for 10-20 years, but somewhere in there your body will start to work against you. In my case I went bald by age 29. I think I might accept it by age 32. Your metabolism slows, and unless you have a good work-out ethic you’ll probably gain some weight. Your schedule will become mind-numbingly repetitive. You’ll wake up the same time every day, go to work, leave around the same time, come home, once you set your mind to being healthier you’ll eat a lot of the same things over and over again. You’ll shop at the same places – and for the first time your atmosphere won’t change unless you choose for it to, and make a major life change. Now, some people will get more interesting jobs that let them travel and do cool stuff – but probably not you. You’ll see them post about their travels on facebook and you’ll think that you made the wrong choice settling into a career like the one you’ve chosen – you should’ve done something more interesting riskier. Or perhaps you like the regiment – the same-ness is comforting. You feel content with life – you don’t need all that adventure. You’re happy to view the photos on facebook. It’s no wonder some people peak in high school – this adulthood thing is pretty boring most of the time. I mean no one opens a fortune cookie expecting to find a message that says “Things are basically going to stay about the same – and that’s really ok” but that is often the case with adulthood. It goes on with only incremental change and while you may not accomplish your dreams you’re still alive and contributing to society, and that’s something right? Right? These days all of society is avoiding adulthood in many different ways. Some people avoid adulthood by embracing something adjacent to adulthood apart from actual maturity; employment, parenthood, or simply having a few glasses of wine in the evening, you know, for your heart. None of these things are bad, but chasing after any of them alone will not guarantee you’re being a responsible adult. Trouble is you can’t get the freedom to eat your ice cream for breakfast without reaping the results. So when someone is sitting on their couch late in the evening re watching the same show in netflix for the 100th time, overweight, bored, and yet somehow content in their unhappiness, wondering why their best years are behind them; I have hope and a challenge. Are you best years behind you? Only if you let them be. If you spend your years living in the “glory days” of high school or college then you’ll never move on. You’re so busy wishing life had turned out differently that you don’t stop to think about what you could to make it turn out differently for you in the next stage. If you play your cards right you’ll get to have an important role no matter watch age you are. For the first 20 years you’re a student. For the next 20 years you’re a worker. For the next 20 years you’re a leader and for the last 20 years you’re a mentor. Some people only like one stage. Some people want to skip stages. Others have to be dragged, kicking and screaming, from one stage to the next. The New Adulthood is taking responsibility, but isn’t just taking responsibility, it’s also adding value to the world by being a good friend, and informed citizen, and an over all wise person. Having children doesn’t make you an adult, thinking about the entire next generation and how you can leave a legacy for any and all of them to benefit from your life – that’s real adulthood. Having a job, even a well-paying one, doesn’t automatically give you passage into true adulthood. Being someone who is pursing a calling that makes you come alive, that will awaken the fire and passion that drives you to seek out wisdom and maturity and contribute more than the minimum. Truly realized adulthood, is as NT Wright talks about truly realized humanity; It’s when we’re fully alive in Christ as we’re meant to be. So over the next several entries I will be discussing from the view of a Christian Millennial, how I believe we all can take responsibility for our lives, how we can pursue our calling and contribute to society, and how we can interact with each other in this postmodern, social-media, over-connected, information-addicted, frustrated, confused, and divided world.